Hello all, I wanted to put my plan on the table for you guys and get some feedback and advice. I have never invested in real estate (let alone owned a home), and have really just been reading and researching for almost a year, as well as coming on these forums every now and then with questions. My apartment lease is up in April, and I am wanting to acquire a duplex and rent out the other part to hopefully live for much cheaper than my 1,000 dollar single bed and bath apartment that I am in now. I will most likely end up using my VA loan and going from there. In preperation, I plan on trying to see what I can get pre qualed for, so I know what price range I can work with. I have been using Zillow to look around for them but can only seem to find a few in my surrounding area (Fort Collins, CO) and they are ridiculously expensive compared to buddies I know in other areas who have gotten them, most being in the 350k-400k range. Essentially, what I'm getting at with this post is this... - Given my market, does this seem feesible to some of you more seasoned guys? - Any advice is always welcome - Any recommended resources to help educate myself? - Anybody have experience with the VA loan think it is a better choice than regular financing? I want to thank you guys ahead of time for any feedback or constructive criticism! > Hello all, I wanted to put my plan on the table for you guys and get some feedback and advice. > I have never invested in real estate (let alone owned a home), and have really just been reading and researching for almost a year, as well as coming on these forums every now and then with questions. Glad you've been learning and are ready to take action. You're going to want to get started right now... our market is still really hot and you'll need to be under contract no later than March 1 with a 30 day closing if your lease is up on April 1... AND... what you're looking for is unusual so it will take you some time to find it. See more below. > and I am wanting to acquire a duplex and rent out the other part to hopefully live for much cheaper than my 1,000 dollar single bed and bath apartment that I am in now. From what I've seen in our local market, that will be tricky (especially in Fort Collins) unless you're also willing to get roommates. If you're willing to get roommates (in addition to renting out the other unit(s)), you can reduce your rent to below $1,000. > I will most likely end up using my VA loan and going from there. Yes. That's a great strategy for acquiring your first multi-family. I'd would even argue the best strategy... especially for Nomads. > In preperation, I plan on trying to see what I can get pre qualed for, so I know what price range I can work with. Yes... that is your first step. If you need a lender recommendation, let me know. > I have been using Zillow to look around for them but can only seem to find a few in my surrounding area (Fort Collins, CO) and they are ridiculously expensive compared to buddies I know in other areas who have gotten them, most being in the 350k-400k range. You're right... I just taught a class on this on Wednesday (the video is available on the meetup site for our Fort Collins investor club) and showed what you're seeing. > Essentially, what I'm getting at with this post is this... - Given my market, does this seem feesible to some of you more seasoned guys? It *is* feasible, but it will take persistent effort to do it and you're going to make some hard trade-offs to do it... especially in Fort Collins. 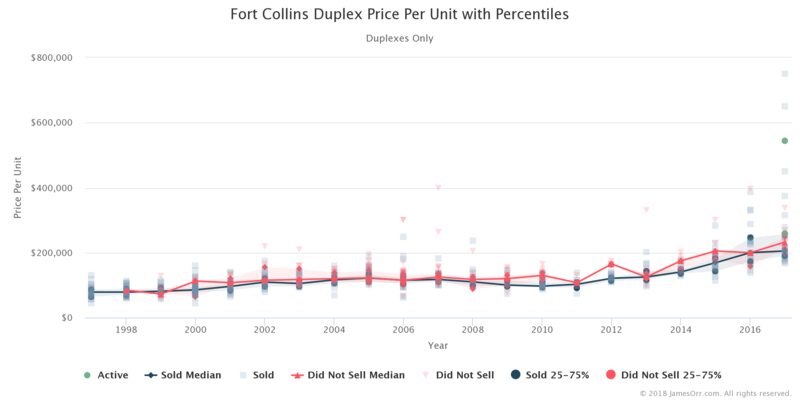 A little easier to do if you open up your market and consider any where in Northern Colorado as you'll have more deal flow... especially in your time frame. If you're planning to use this as a stepping stone to acquire more properties, consider Nomad as well. > Any advice is always welcome - Any recommended resources to help educate myself? You should come to the Northern Colorado Real Estate Investor Group (NCREIG) classes that you can find on Meetup. > Anybody have experience with the VA loan think it is a better choice than regular financing? Yes... as far as comparing low and nothing down options it tends to be a good choice... if you're trying to buy a multi-family (2-4 units) with less than 25% down, VA and FHA are the only choices that I'm aware of. And they require you to owner occupy one of the units. > I want to thank you guys ahead of time for any feedback or constructive criticism! You're welcome. Hope that helps. Looks like @James Orr covered most everything. Talk to a lender sooner rather than later. I'd be happy to recommend a few who have treated my investor and VA clients well. Message me if that would be helpful. I'm not in the same Zillow-is-the-Devil camp that many real estate professionals are in, but there are better places to look for current property information. 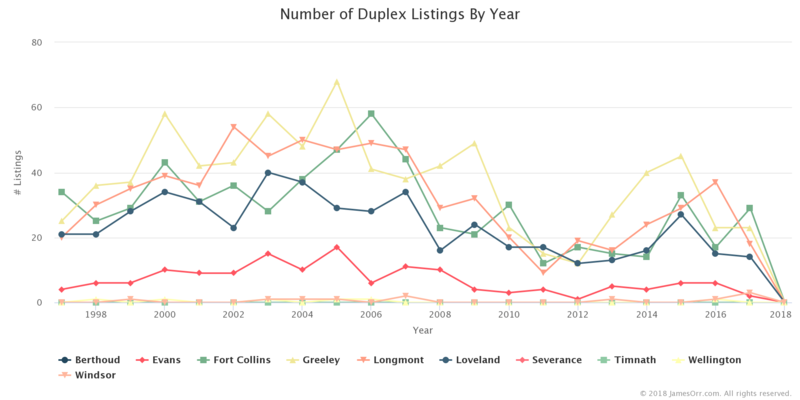 ColoProperties.com is a good one that feeds directly from the MLS (and isn't tied to one company or agent). Build a team of people you can trust, and take consistent action. Your timeline is tight, but I think it is possible. Phenomenal! Thanks for the help guys. Though the lease is up in April, I'm not opposed to shacking up with family for awhile if I have to, or even doing some type of lease extension to find a halfway decent deal. @James Orr I'm going to attend one of these get togethers and start treading the waters a little bit. On another note, what is a nomad in terms of real estate? > Phenomenal! Thanks for the help guys. You're very welcome; my pleasure. > Though the lease is up in April, I'm not opposed to shacking up with family for awhile if I have to, or even doing some type of lease extension to find a halfway decent deal. Perfect. That will help give you additional options. > @James Orr I'm going to attend one of these get togethers and start treading the waters a little bit. Excellent. I think you'll like them. > On another note, what is a nomad in terms of real estate? If you're coming to class I can give you a copy of the Nomad book when I see you that goes into detail. I just spoke to my primary bank about how much I qualify for utilizing the VA loan. I would like to take you up on your offer if you could recommend any lenders I could use. Thanks again for all the help guys, this place really is a god send. Thanks Stephen. I assume your asking @Benjamin Wishart for a recommendation since you just named him. If you need anything else, let me know.